Travel west on Hwy 22. Turn left on Hwy 762. 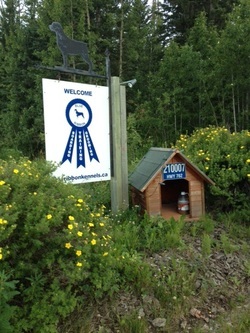 Blue Ribbon Kennels on west (right) side. 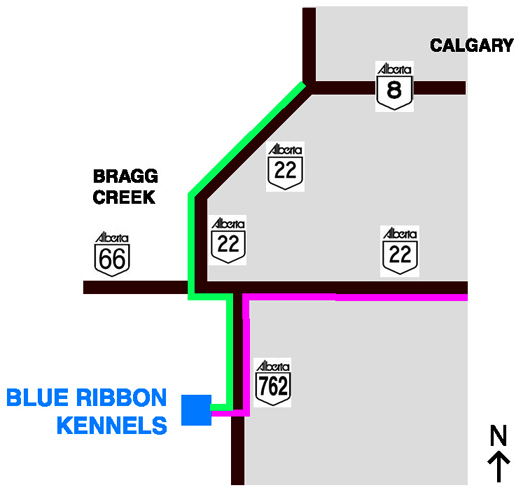 South on Hwy 22 to 4-way stop in Bragg Creek. Turn left, travel south 3km. Turn Right onto Hwy 762.